One way to get into conversations is to simply start them with others. For brands this is an infinitely more difficult task given the resources required, the restrictions of certain social networks and simply time. This doesn’t scale well and therefore is often only a small part of a social strategy long-term. Starting conversations with your target audience is effective, but requires massive resources to pull it off with anything resembling return on investment (ROI). Another and more frequently used approach to starting conversations is something I call luring. I frequently use analogies to correlate social media marketing to things that most people already understand. I find that many comprehend some of the complexities of social media much better this way. So let’s look at social media engagement or social selling as fishing. Lure, luring, fishing. Get it? If you agree that “Content leads to conversations, conversations build relationships and relationships result in ROI“, then we can equate content to a fishing lure and getting a bite on the line as a conversation. The reason for a fishing lure is to attract and catch fish. Different sizes and types of lures are designed to attract different types and sizes of fish. Therefore the right content, created and curated (the lure) in your streams will attract a certain type of prospect and therefore increase the chances that they share, comment or like the content you post (the bite). Furthering our analogy, if you don’t cast enough times on the day you are fishing, you greatly reduce your chances of getting any bites. Casting your lure into the lake only a few times will likely result in no fish being attracted to your lure. You have to keep casting, reeling in and casting again in order to increase the odds that a fish will even see your lure, let alone be attracted to it. This is why having enough consistent, relevant, valuable content in your streams is so important. This gets even complex when there are numerous types of fish in the lake, but you’re only interested in catching a specific kind. Now you have to consider WHICH lures (content subject matter) are best to attract that specific type of fish and also how many times you need to be casting and reeling in your lure each and every day in order to get a bite. If you want to attract fish that have a higher propensity to engage with you from the content you post, focus on curating content that highlights the challenges that your product and service solves for your target audience. Enough Posts (Casting) – social network users are logging on and off, and switching from desktop to mobile all day long. If you do not have enough posts all day, every day, you’re likely to be seen less. Content Type (The Lure) – Whether you are curating or creating content, you need to ensure that what you are posting is relevant and interesting to your target audience. Know what THEY are interested in and post about those topics. This is what will get them to engage YOU. Crowded Waters – Just because an article is popular or comes from a popular site, doesn’t mean you should post it in your streams. In fact, I would say that in most cases the opposite it true. Sharing content that everyone has already seen, read and shared themselves is hardly an effective strategy. If your peers and competitors are fishing in the same cove of the lake, grab your fishing pole and fish somewhere else where this fish see less of the same lures. Create Lures – Along with posting curated content, you should also be creating content. Think of this as the experienced fly fisherman that ties their own flies. Know your intended audience (fish) and what they’re interested in and create content that connects their needs, challenges and interests with what you do, without overtly pitching your product or service. 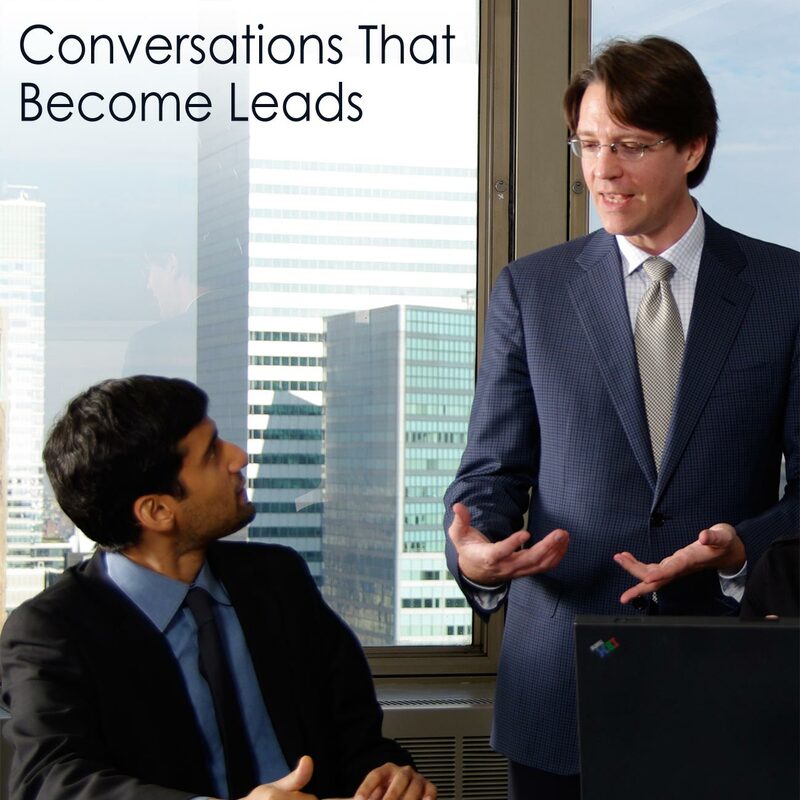 Leads – When you have a “fish on” (conversation started) don’t reel it in as fast as humanly possible. Take the time to expand the conversation around your contact without immediately moving to what you do. Building relationships over time is what gets results. Getting a bite and immediately attempting to land the fish is a great way to rip the hook out and lose the fish altogether. At the end of the day, social media marketing lead generation is not dissimilar to the real world. Relationships take time and often require many conversations to build trust. Taking the time to earn that trust will open doors to discuss what you do with your connections and turn relationships into leads. If you’re having the right conversations with the right connections, your conversations will become leads.